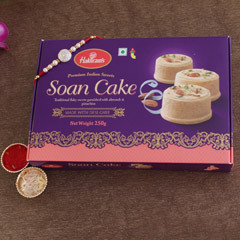 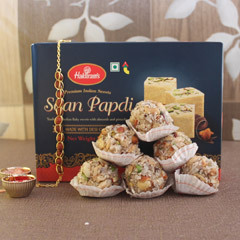 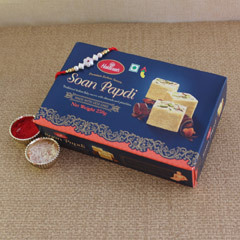 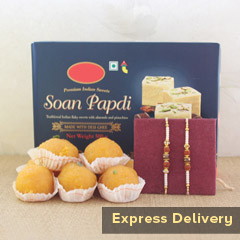 Send the amazing Rakhi with Soan Papdi combination to your brother on the day of Raksha Bandhan and give him the best surprise ever. 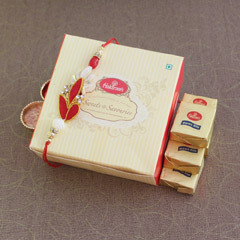 The thought of not being able to tie the sacred thread on your brother’s wrist to fortify the beautiful bond between a brother and sister on this auspicious day must make you upset. 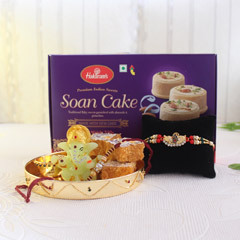 The distances created due to the busy life of the modern world may severe a lot of relationships, but Sendrakhi.com will not let this relation cleave. 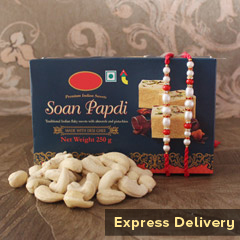 Soan Papdi is a delicious and traditional North Indian sweet that is flaky and crisp but melts in your mouth. 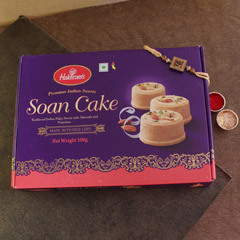 Anyone is bound to fall in love with this dessert. 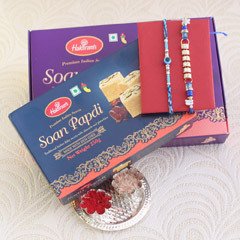 Sending this along with one of the many Rakhis to choose from our website will surely make your Bhaiya happy. 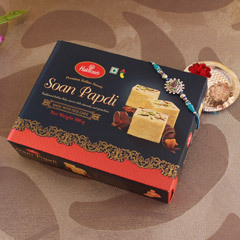 We have a culture in India to distribute sweets on important days so this combination perfectly complements this occasion. 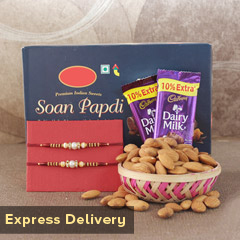 Sendrakhi.com offers free delivery with every purchase, which makes shopping on our site an even better experience. 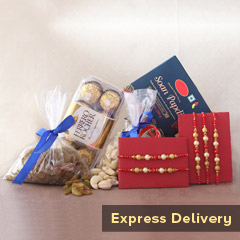 Our delivery team is reliable and popular for its swift response and express delivery. 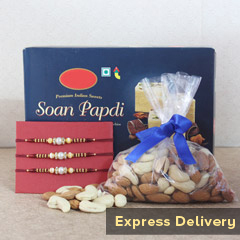 We also offer same day delivery in a number of locations in India. 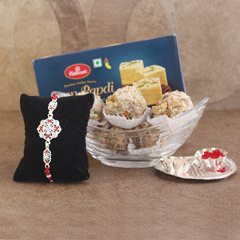 You may trust us to send the Designer Rakhi with Soan Papdi combination to your brother without any delays or issues. 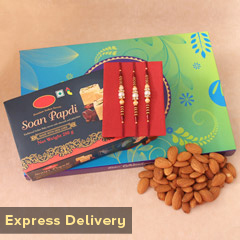 Wait no more and buy the best one from our store today!